15 wheelchairs were distributed among the physically handicaps of Karachi’s Goths on 12th of January, 2019 at Layri Sector 51/A Tisar Town. 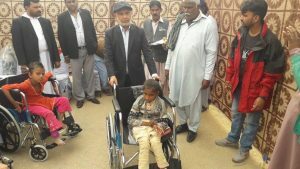 Caritas Pakistan Karachi CPK facilitated the donation contributed by Ahsas-e-Insaniat Group. Mr. Nisar Ashrafi (Founder of Ahsas-e-Insaniat) chief guest encouraged the disable beneficiaries to contact Caritas team for future support. “Disables also deserve to be respected, to lead a decent life with equal opportunities of education, skill training and rehabilitation services and to participate in educational, social, economic, cultural spheres without any discrimination,” he said. 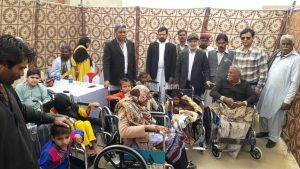 The objective of the distribution ceremony was to provide facility to disables to fight with their problems with will and courage. 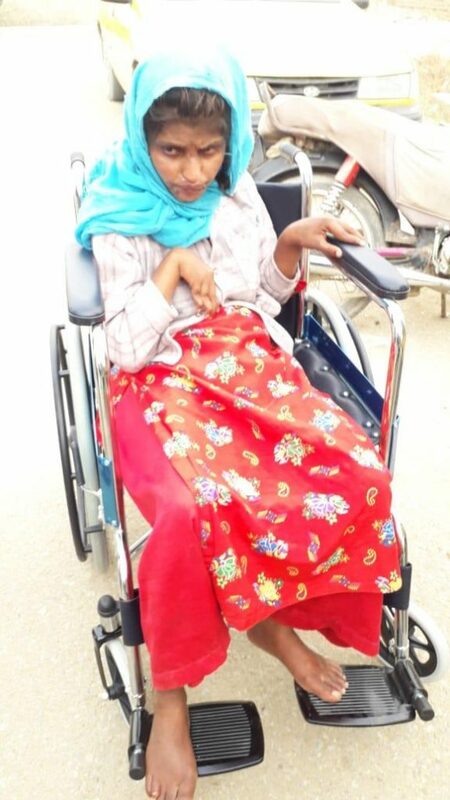 Mr. Mansha Noor thanked Ahsas-e-Insaniat Group for the assistance to disable persons while stating the objective. Fr. 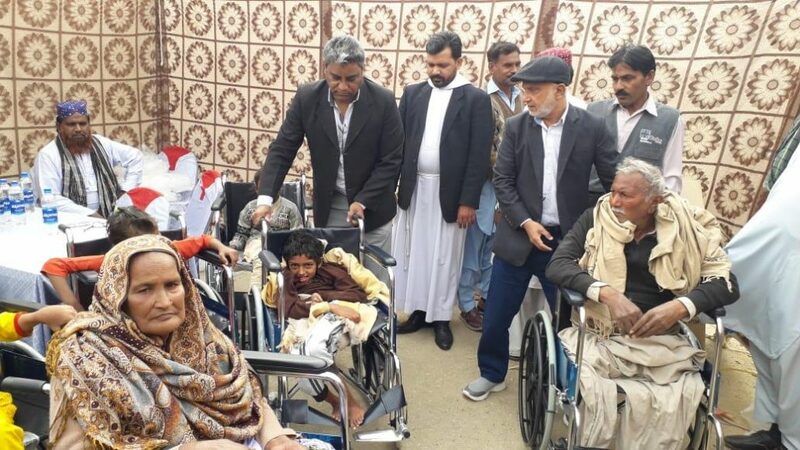 Nazir John (OFM Capuchin) in charge of Prison Ministry and Pastoral care of the sick in Archdiocese of Karachi assured support to serve disables in emergencies.